The wellness area had to be doubled in size and includes a variety of indoor and outdoor attractions, triumphing in an infinite outdoor pool. The area of the former spa got completely converted into a relaxation room. 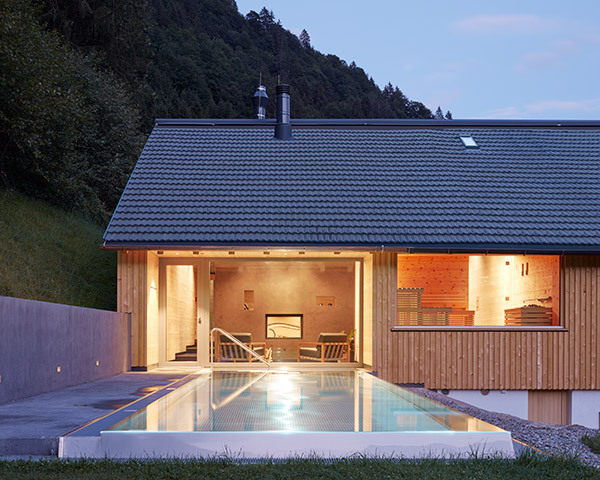 The aim was to create a silent space, with a spectacular view into the surrounding mountain landscape of the Austrian alps. 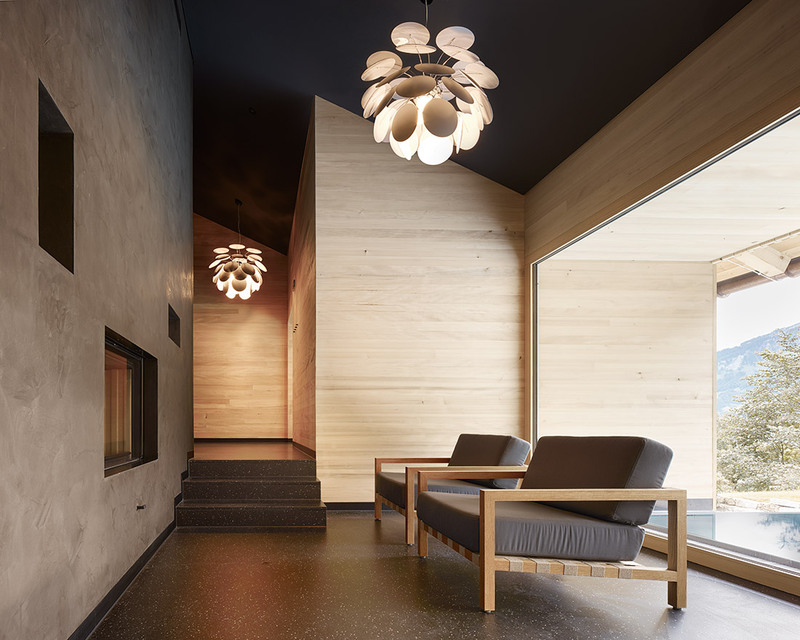 The floor is of rough-cut oak and the ceiling of loden textile panels. 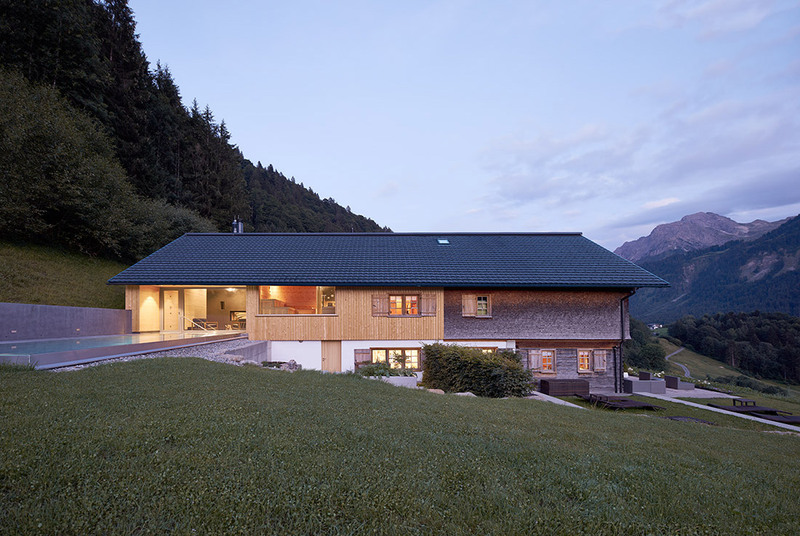 The walls are covered with swiss pine and loden textiles. The main building got extended and includes the spa area. The Easter outdoor area offers a Kneipp water-treading basin, a rain shower and a cold-water basin. 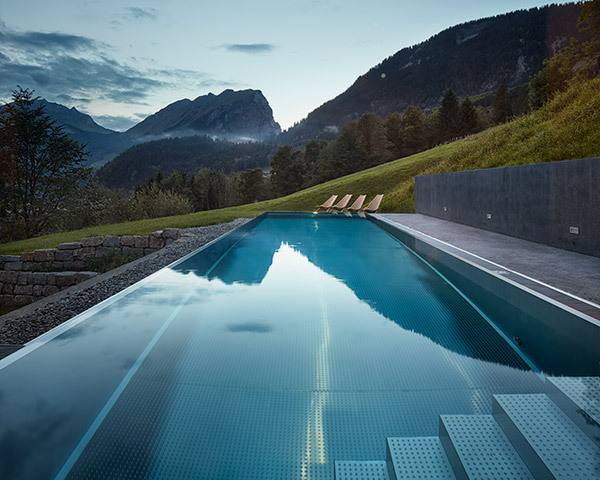 The western outdoor area comes up with the infinite pool. 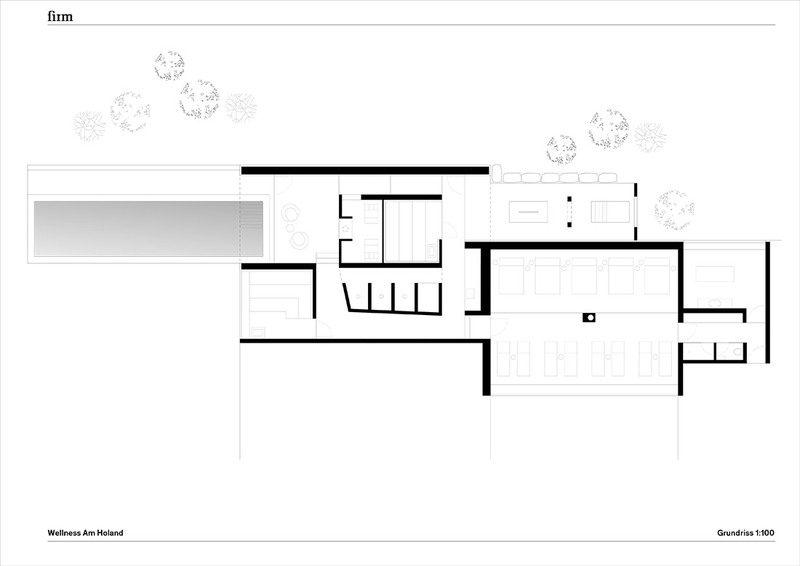 The spatial idea of the extension is to lengthen the main building without influencing the outer appearance. 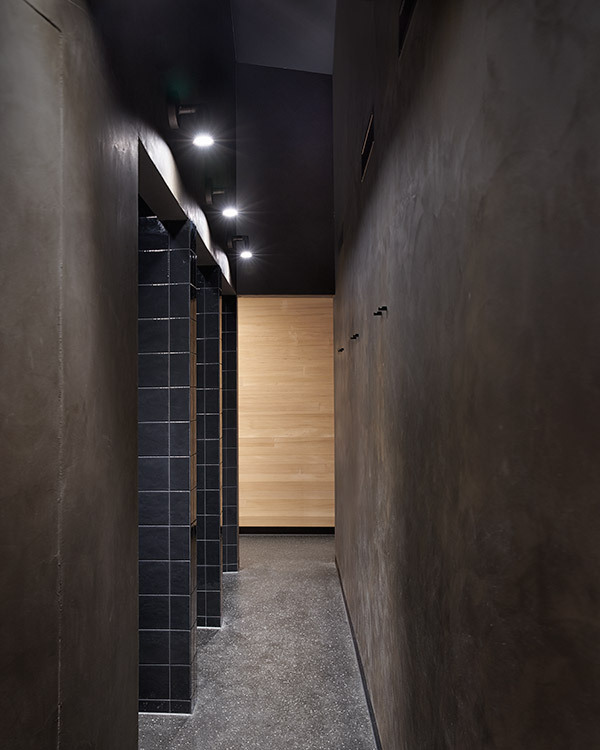 From the inside, the building surprises with a core of dark levelled walls, including the showers, a sauna, the fire place and two infrared chairs. The dark floor is made of bitumen terrazzo with small aluminium sprinkles. One can circulate around the core on varying levels and views to the outdoors. It is a calming walk with noises of splashing water and sizzling fire. 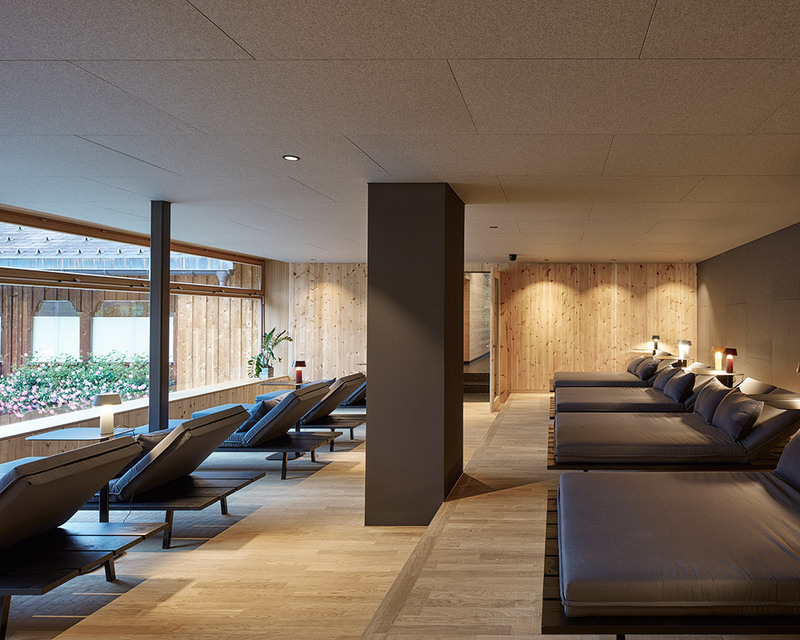 Considering that only 24 guests share this spacious and manifold wellness area, it becomes a truly unique choice for a hotel. The Hotel Am Holand is able to surprize with a treasuring wellness area which is mostly unseen from the surrounding, though the hotel is built very exposed at the hillside above the village. It is the same with the new heating system, where its bunker for wooden chips and the technical room got built into the hillside and only the chimney gives a hint of its existence. The project is a contribution to “hidden architecture”. Once you find yourself in it, you feel its atmosphere and ecological inputs.